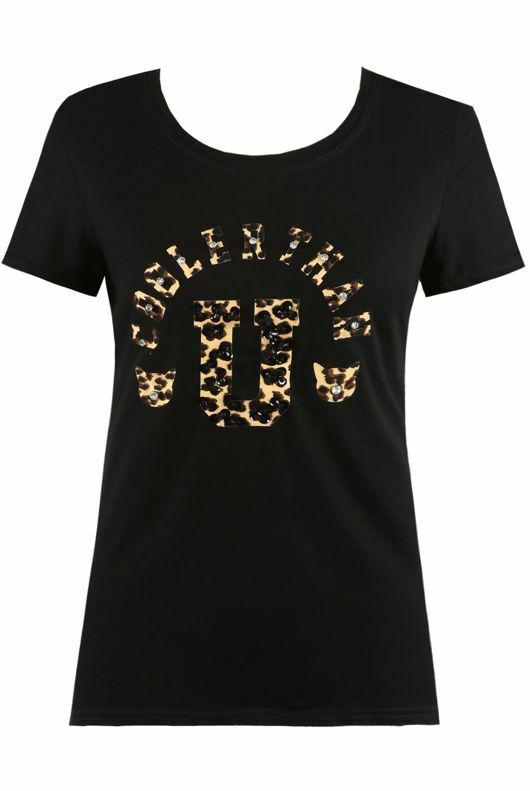 Say it with a slogan tee like the Black T-Shirt With Leopard Print Motif. 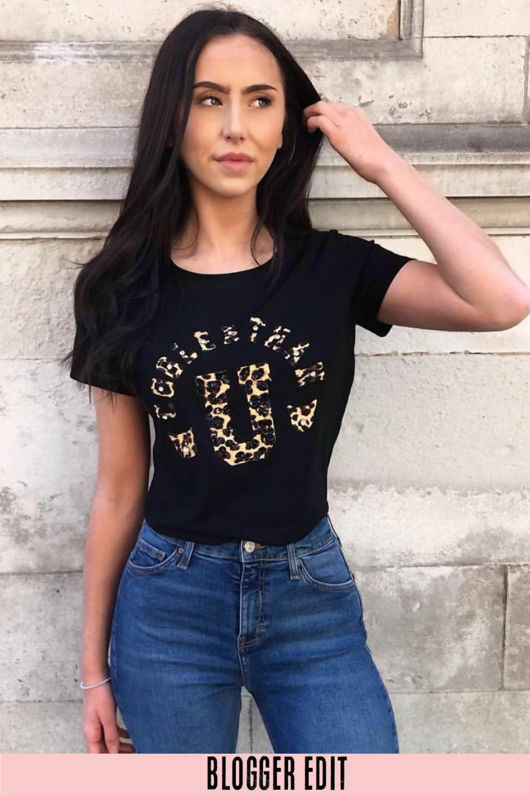 This regular fit t-shirt has a leopard print 'Cooler Than U' motif to the front with a diamante detail and features short sleeves and a round neckline. We love this tucked into skinny black jeans and finished off with an oversized blazer and chunky trainers for effortless styling.